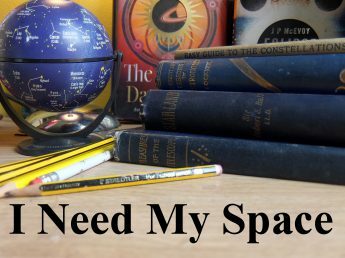 A Binocular Tour | I Need my Space! Just got back from a visit to a new dark sky site 0.4 miles off the road from Bridgenorth to Much Wenlock. Spend most of the time trying out a new lens on my DSLR, but got some observations in through the new bins. A quick write-up before I catch some Zzzs. Spent quite a bit of time with Leo looking for galaxies. Found M66 but thought it was an NGC galaxy, an I’m thinking the star atlas I was using led me astray. Got to double check this. Bodes galaxy and its companion found quite easily. M35 in Gemini, cool! The clusters in Perseus/Cassiopiea border. Nice! The two globular clusters in Hercules found easily in bins, they’re very bright! M13 and M92. Beehive luster, in between the twins and Rigel, stunning, (possibly the best binocular object, certainly top ten). The cluster in Coma Berenices was really bright and I was a bit amazed that I’ve not paid much attention to until recent years. But then, I’ve been visiting darker skies recently. I called it Melotte 111 in a recent entry, but it’s probably better called the simple Coma Cluster. Venus was dipping in the West, Jupiter rising in the opposite direction, and to the right of the gas giant is the double star Zubenelgenubi, in Libra, a constellation I know nothing about. Summer constellations up high already. Bootes, Hercules, Corona Borealis, and Lyra and Cygnus getting in the scene, I even saw the coathanger and convinced myself I’d split Albereo! (got to check on this one). What else? The Auriga clusters, tried to find the M51 (nope! ), and saw the meteorites. Phew!